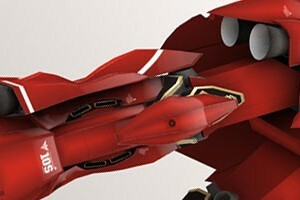 This is it, Sinanju Gundam's Arm part model kit. As usual it comes with 2 size. 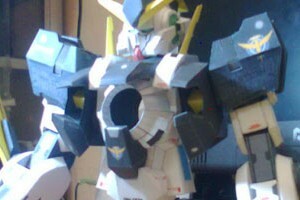 Next parts will be the back booster, shield and gun or cannon. Sometimes I don't know what to say, I'm not good on words, but I had to write something so google bot can see this article as a unique one, hahaha. If you see there is no instructions yet, that's mean it still under constructions, please come back another time. 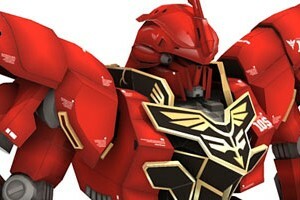 Sinanju Gundam model kit. 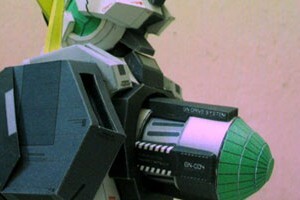 Wanda has come back from his hibernation and bring Nadleeh Gundam arm parts model kit for us. A usual he separate the templates file and the instructions. All files are in PDF format. On the images below you can the robot arm before they are assembled. 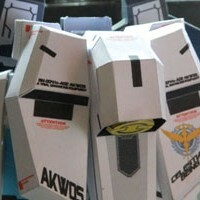 This release is by far in my opinion the most difficult paper model part I ever created. It took me more than 2 weeks to model and to remodel, to unfold and to re unfold. Coloring is not a big issue, the 3d modeling is hard because I need to think the best approach to have the best and easiest templates. I feel so relieve this templates is finally release, I don't know if I can stand the boredom if it even gets to three weeks in the making. After the leg part the rest are more simpler and most have far fewer parts than this. I'm happy now because I can design on different subjects, happy building! cheers! When I still preparing for Sinanju's leg papercraft Wanda has already release Nadleeh's torso templates, I still not yet finish modeling the leg and he already release GN drive capsule part. Nadleeh torso is taking shape now.